Great things come in small packages! Our delicious set of mini cookies is now available to send an extraordinary Happy Birthday Surprise. Select from mini chocolate chip, oatmeal raisin, peanut butter chocolate chip, double fudge walnut, cranberry macadamia, white chocolate blueberry, and jalapeno cheddar! 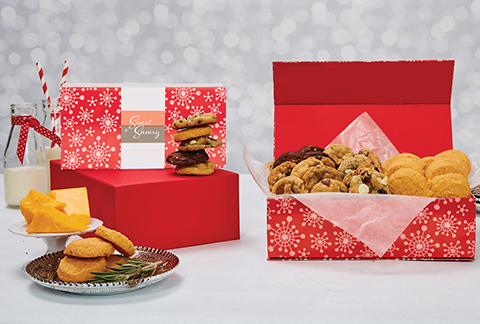 Includes 4 dozen cookies! Includes a greeting card that you can personalize online.